Attraction grabbing colors of hand crafted jewelry beads make these beads popular amidst clients spread over the world. Silver plated copper beads are handcrafted with the same fine detail and care as our sterling silver selection but at a fraction of the cost so that your designs can retain their beauty and value without sacrificing price. We are a reputed firm engaged in manufacturing & exporting Handcrafted Lampwork Beads. 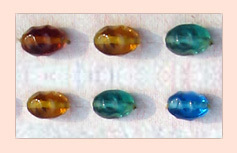 These graciously lampwork beads are preserved like a treasure by the freaks and aggregators of beads and beaded items. This bead is skilfully crafted and created out of crochet to give it ethnic yet trendy and contemporary look. Crochet Beads provide an organic feel to your beading projects. They look gr8 with wood and horn beads. Beads will never go out of fashion. We are considered amongst the leading manufacturers and exporters of Emerald Beads that is a true exhibition of beauty and elegance. Our impressive collection of Emerald Beads is handcrafted by our adroit craftsmen keeping in mind the latest trends prevailing. 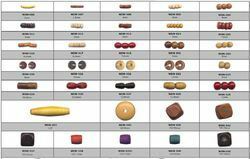 These beads can be availed at the most reasonable prices. We source and supply nice sized faceted rose quartz beads in a full faceted oval - in a uniform pink color. These are hand cut beads, impeccably handcrafted by skilled craftsmen. Our range comes specially packed for extra protection during transportation. In excellent finishes, we offer intricately hand carved traditional wooden beds carving. These bed have white color base finishes and can be available in king sizes. These have multi color carvings. Other finishes and size specification depends up on customer's needs. Our flower shaped, handcrafted set of 925 silver with a jet black stone. . 2 earrings of 1. 9 cm diameter, 1 pendant of 2. 5 cm diameter, 1 ring of 2. 2 cm diameter. These Handcrafted Glass Beads are ideally suited to enhance the elegance of thread necklaces, bracelets and other fashion accessories as well as the people wearing these items.